That was when the Bureau of Investigation—the forerunner of today’s FBI—first opened a file on the magazine. This is an excerpt from the new e-book Surveillance Nation: Critical Reflections on Privacy and Its Threats, a fascinating and timeless alternative history on the rise of the surveillance state. The e-book is now available on tablets, smartphones and computers—download yours today. However, too many government officials, even in democratic states, tend to favor secrecy for their own actions and transparency from the citizenry. When asked what measures they are employing that might threaten our privacy, officials have long responded with some version of “We can’t tell you, of course… but trust us.” And when facing charges that they have violated the privacy of those they represent, the government invariably argue’s for the narrowest definitions of privacy (your metadata isn’t private) and the broadest justifications for invading it (“fighting terrorism” generally does the trick). Because democracy depends on government transparency and personal privacy, but our representatives too often prefer the opposite, citizens, civil society and the press must be vigilant about privacy and its threats. Absent popular resistance, the tendency of government to favor secrecy and access to its citizens’ most intimate information will undermine the very foundations of democracy. For its entire existence, The Nation has exercised that watchdog role for the country with courage, conviction and persistence. This volume, consisting of essays, investigations, editorials and columns dating from 1931 to 2014, illustrates the critical importance of the Fourth Estate in checking the desires of the surveillance state. Edward Snowden’s in June 2013 disclosures of the National Security Agency’s vast, global spying network are only the latest in a series of revelations with a common theme: security and intelligence agencies have an omnivorous appetite for information about all of us. Even if they act entirely in good faith, their job description is to provide intelligence (CIA), to investigate crime (FBI) or to maintain security (NSA)—not to protect civil liberties. So, even when acting from the best of motives, they will be inclined to discount privacy concerns and overestimate security needs. And often, of course, they don’t act from the best of motives. They may be driven by partisan concerns, the desire to entrench their own authority, or paranoia about “the enemy”—or, as in the case of the nation’s most infamous law enforcement officer, J. Edgar Hoover, all of the above. The history of political spying and unwarranted incursions on privacy is a long and troubling one. Hoover got his start, as a young lawyer just out of law school, in the Radical Alien Division of the Justice Department. There, he helped orchestrate the infamous Palmer Raids of 1919-20 after a series of bombs exploded throughout the country, one of them tearing the front off the home of Attorney General A. Mitchell Palmer. Rather than investigate the crimes and bring the specific perpetrators to justice, the government used immigration authorities to round up thousands of “usual suspects,” almost entirely on grounds of affiliation with anarchists or communists, interrogated them brutally for “intelligence,” and ultimately sought to deport many of them. None of the bombers were brought to justice. The pages that follow feature remarkable contributions from canaries in the coal mine, warning of the threats to come. They include a prescient article from 1966, titled “The Computer vs. the Bill of Rights,” on the threat that computers pose to our privacy. The author, Anthony Prisendorf, notes that at the time, there were as many as 30,000 computers in the United States, and that a proposed National Data Center might empower the government to know a great deal about our private lives from our data. Sound familiar? Frank Donner writes in 1978 that “the primary contemporary candidate for expanded intelligence operations is terrorism.” Fred Cook provides the country’s first clear-eyed critical assessment of the FBI—in 1958. Herman Schwarz warns that the Foreign Intelligence Surveillance Act, passed in 1978 to rein in the intelligence agencies after the Church Committee’s revelations, is not working—in 1983. In 1997, Christian Parenti warns of technology’s empowerment of the police to track our every move at increasingly low cost. In 2006, seven years before Edward Snowden’s revelations confirmed it, Tim Shorrock writes of the telecommunications companies’ cooperation with the NSA in mass data collection. Time and again, writers for The Nation identified threats to privacy and liberty long before they were acknowledged by the mainstream media and the broader public. This volume, then, offers a rare contemporaneous account of the growth of the surveillance state, from the standpoint of a vigilant journal dedicated to keeping watch on the watchers. Time and again, Nation writers warn the citizenry that they are allowing their liberties to be taken away by stealth, by technology and by a failure to demand accountability. Highlights include a fascinating review of 1984 by Diana Trilling; critiques of wiretapping by Alan Westin, Edward Long and Athan Theoharis; and Laura Flanders’s early exposé on the expansive possibilities of Section 215 of the USA Patriot Act. With the hindsight of history, it is easy to see that the warnings were well grounded. But what is remarkable is how spot-on and clear-eyed so many writers were even amid the panics or crises that had led to the latest extension of the state’s surveillance apparatus that they were exposing, analyzing and critiquing. The largest single contribution to the volume is a remarkable account of the history of The Nation itself, as told through the lens of the FBI, which, true to form, maintained a 2,000-plus-page file on The Nation. The magazine obtained the file under the Freedom of Information Act, and in 1986, Penn Kimball drew on those files to portray the FBI’s obsession with the magazine that was in turn obsessed with it. Surveillance is, of course, here to stay. It is a necessary and appropriate tool of the state. But it is also an easily abused tool. If we want to preserve the liberties that are the foundation of a healthy democracy, we must keep our eye on them as they keep our eye on us. No journal has done that job as well and consistently and for as long as The Nation. 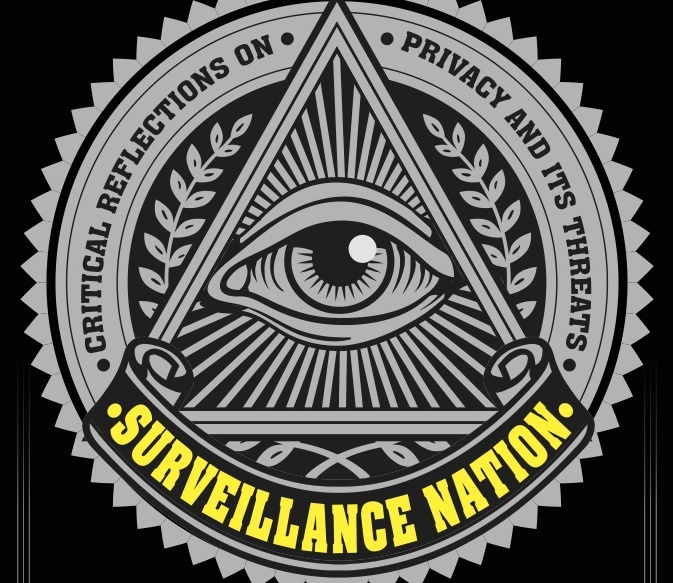 Download the new e-book Surveillance Nation: Critical Reflections on Privacy and Its Threats, a fascinating and timeless alternative history on the rise of the surveillance state, to read it instantly on your tablet, e-reader, smartphone or computer.